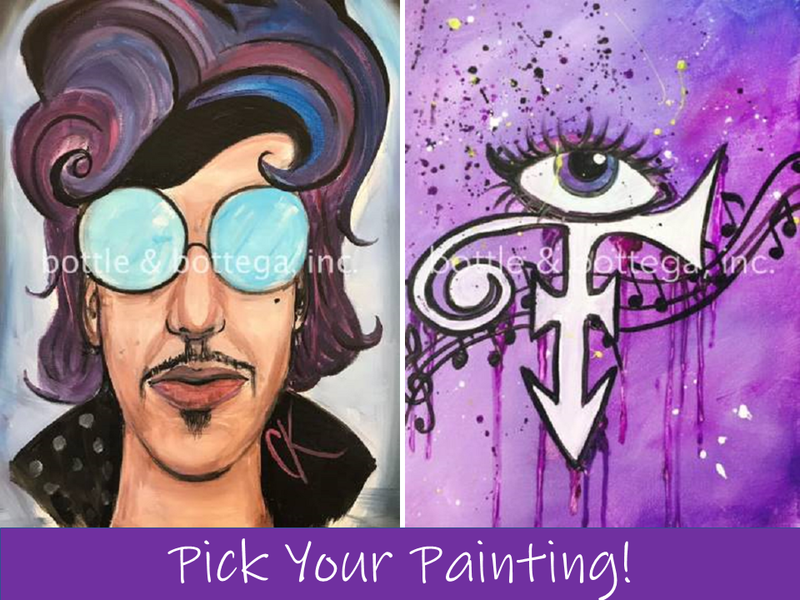 Join us at our *BYOB* studio as we celebrate the birth of The Purple One & paint your very own masterpiece! 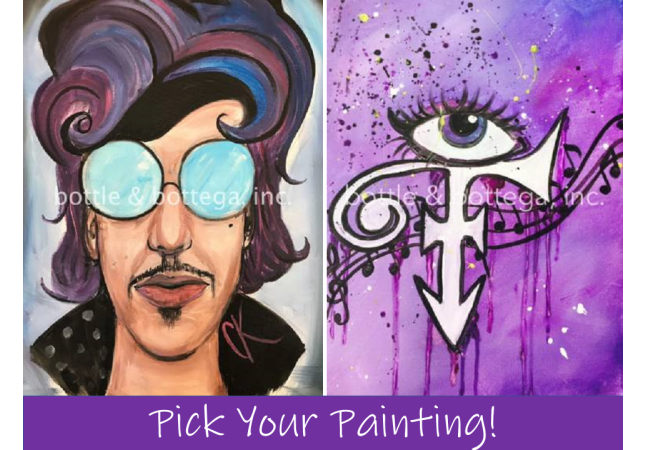 Registration price includes use of all necessary paint supplies/aprons/instruction & a 16x20 take-home canvas! The first 30 minutes of the event is the time to settle in and grab your drink of choice. We are BYOB, so bring what you would like to drink! We have glasses, wine openers, plastic ware, paper plates, napkins and ice here for you. You’re welcome to bring any food items; please note table space is limited. Images: Feel like going rogue? The instructor will teach the image featured on the calendar step by step, but they are happy to answer questions if you choose another image from our gallery. Painting a different image than the one being taught is NOT recommended for beginners. Promo codes: Promo codes invalid Friday through Saturday, as well as at off-site events and special events. Event Minimums: This event needs 5 registrations to run. We will reach out prior to the event if there is a chance of cancellation.